At World Distribution Services, we know our clients expect the very best from their warehousing and distribution services provider, and we’re dedicated to meeting those high expectations. With that in mind, here are four aspects about our warehousing and distribution services that potential clients should be aware of when choosing a company to partner with. One of the key benefits of utilizing our Cleveland warehousing and distribution services is being able to take advantage of our prime location. As our headquarters, our Cleveland site is conveniently centrally located within the country and serves as a vital hub for warehouse logistic services. Additionally, because our Cleveland location is part of our larger World Distribution Services corporation, we’re able to offer warehousing and distribution services to meet local, regional and national needs. And our dedicated team members can facilitate the handling of varied equipment types, like dry van flatbed, full container, and LCL loads. Visit our nationwide transportation services page to see everything we can offer to our clients. At World Distribution Services, we’re committed to providing our customers with a range of distribution and warehousing services to meet their varied needs. Additionally, our Cleveland cross-docking services and our heavy lift and out-of-gauge services add additional value to our Cleveland warehousing and distribution site. For detailed information about our Cleveland warehouse location, be sure to visit our main Cleveland page. To ensure that World Distribution Services’ customers receive the finest warehousing and distribution services available, our Cleveland location, like all of our sites, staffs a dedicated team of professionals who utilize a diverse range of essential, industry-standard equipment. Additionally, our chassis fleet includes both tri-axles and spread axles. In regards to our staff, World Distribution Services is proud to employ 30 owner/operators who are able to be dispatched locally, along with a team of dedicated experts who have years of experience working in the field. Our team members are committed to precision and reliability, and will ensure your vital products reach their destination on time and intact. Because of our experience in the field, our team is also able to fulfill special, customized projects when the need arises. Contact us today to inquire about these services. One aspect about our Cleveland warehousing and distribution facility worth noting is our use of the Logimax system. Logimax helps to streamline warehousing through its powerful, browser-based interface. Use of the software helps to boost the rate of production due to the complete inventory control functionality that the system offers. As you can see, with this diverse range of features and services available to our clients, utilizing our Cleveland warehousing and distribution facility is a safe bet. For further information about these specs, be sure to reach out to a member of our team, who would be glad to cover all of your questions. 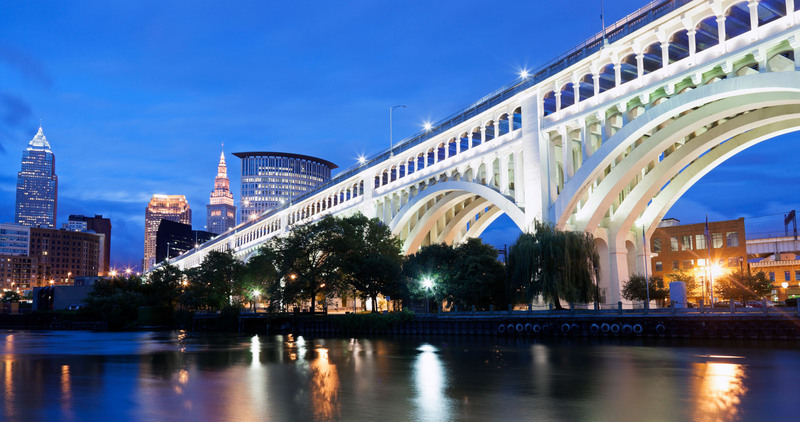 If you’re ready to utilize premier warehousing and distribution services for Cleveland and the surrounding area, we’re ready to get to work for you. Contact us today so we can help you get your products where they’re needed!